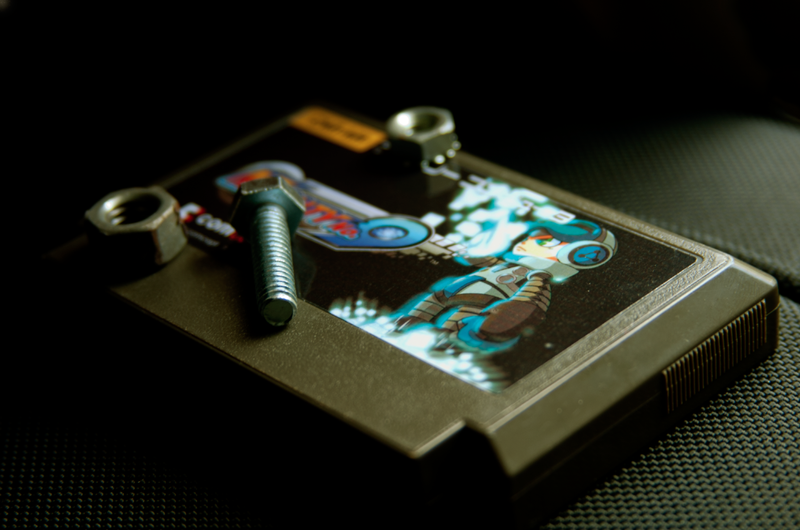 If you're into video games and you use the internet (both requirements for viewing this blog) then I probably don't need to tell you about the success story that is the Mighty No. 9 Kickstarter campaign. 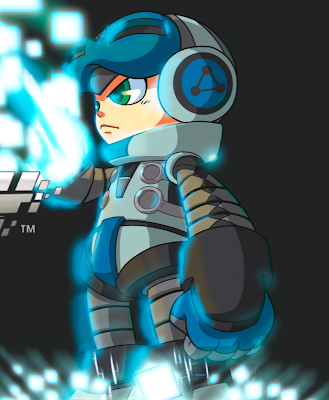 Keiji Inafune (best known for CREATING MEGA MAN) and his company Comcept managed to crowdsource over four million dollars to fund a spritual successor to his beloved franchise, blowing past the original goal and pretty much every stretch goal after that. 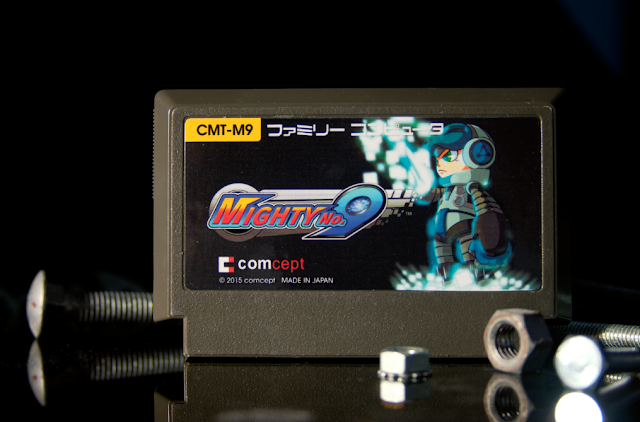 I can't wait for the game to come out so in honor of Mighty No. 9...! The precise line art was fun to make here, though you don't really get the benefit on a 2 inch label. Click for big. Inspiration for the lighting effects came from both the Mighty No. 9 concept art and the badass intro from Capcom's PS1 games. Been a while since I posted! NES version of the game (with an appropriately different label art) to come soon, hopefully.